Christopher Colella is a member of the Board of Directors. As a banker, he is the Executive Vice President and Chief Credit Officer of Commercial Bank of California. 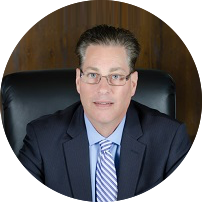 Mr. Colella has over 15 years of Southern California banking experience with extensive knowledge of credit origination and business banking, and an additional 10+ years of banking regulatory oversight experience. He oversees all credit administration functions, including developing credit offerings, establishing lending standards and guidelines, supervising loan underwriting activities, overseeing loan documentation and servicing functions, and ensuring compliance with lending- related governing regulations.